Users who recently upgraded to Windows 10 October 2018 Update (1809) began to complain that mapped network drives are not automatically reconnected at Windows startup. After logging in the user sees a big red cross on the icons of all mapped network drives in File Explorer. If you run the command net use in the command prompt, then in front of all the mapped drives you will see the status Unavailable. Neither user-attached network drives, nor GPO-mapped drives automatically reconnect. Network drives simply cease to be mounted automatically after restarting the Windows 10 1809 device. Mapped network drives are displayed in File Explorer, but connection to them is unavailable. 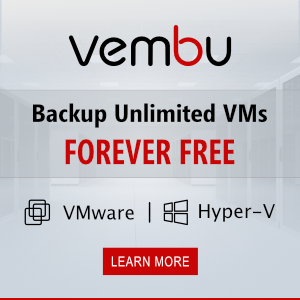 The problem occurs with folders connected from NAS devices, and with shared folders on other Windows / Linux computers. This bug in Windows 10 1809 update is confirmed by Microsoft and is planned to be fixed in early 2019. At the moment, the Microsoft offers a workaround to the problem of restoring connectivity to the mapped network drives (see KB4471218 — Mapped network drive may fail to reconnect in Windows 10, version 1809). To do this, it is suggested to run a certain script at logщт, or if mapped drives are connected using group policy, change the GPO settings. 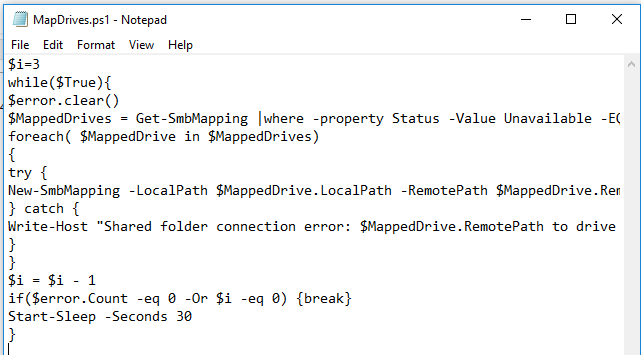 This script selects all inaccessible mapped drives and tries to reconnect them in persistent mode. This code allows you to correctly call the PowerShell script described above. You can place this batch file into the user’s startup by copying the MapDrives.cmd file to the %ProgramData%\Microsoft\Windows\Start Menu\Programs\StartUp directory. You can also create a scheduler task to run the MapDrives.cmd file when a user logs on. 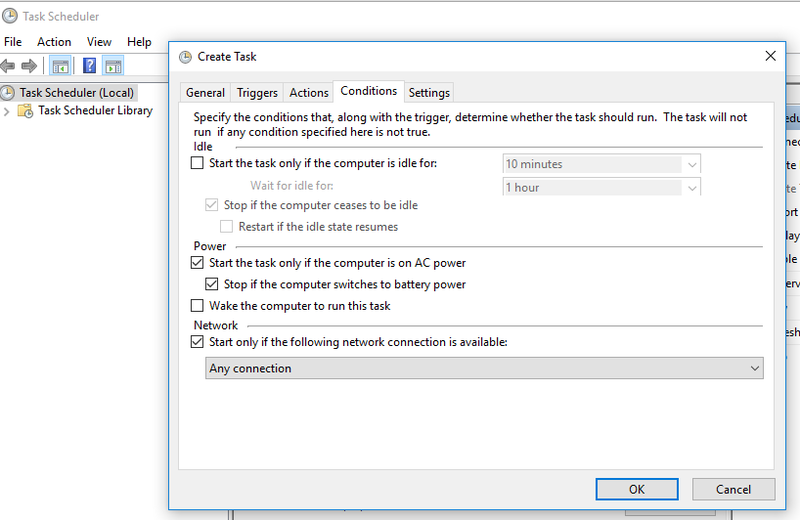 You can create a scheduler task using PowerShell or from the Task Scheduler GUI console (Taskschd.msc). Reboot the computer or logoff/logon under your user account. When the user logs in, the script should run, which will re-create all mapped drive connections. Please note that by default network drives connected in the elevated mode are not available in normal mode and vice versa. But you can fix it – see the article Mapped drives are not available from an elevated apps. 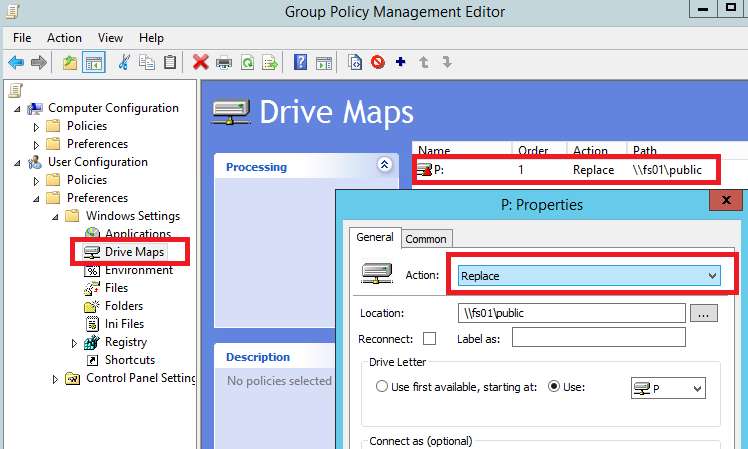 If you map network drives to users using domain group policies, you need to change the policy settings in order to connect the drives correctly. 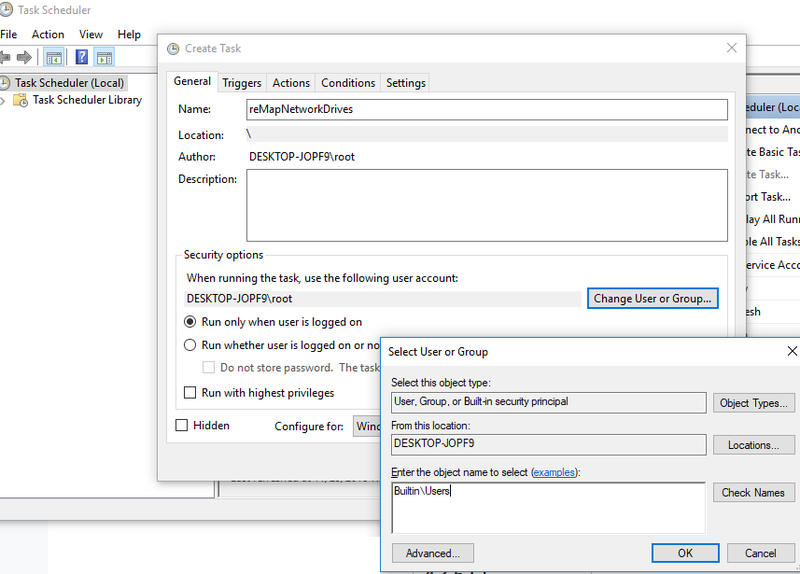 Open the domain policy that connects the drives, and in the section User Settings -> Preferences -> Windows Settings -> Drive maps, find your network drive assignment policy (policies) and change the Action type from Update to Replace. After the policy is updated on the clients when the user logs in, the mapped network drives will be deleted and reassigned. I got the solution of WIndows 10 map network drive connect. Please install MediaCreationTool1809 and switch on firewell setting. then restart your system. You’ll got activate your map network drive.